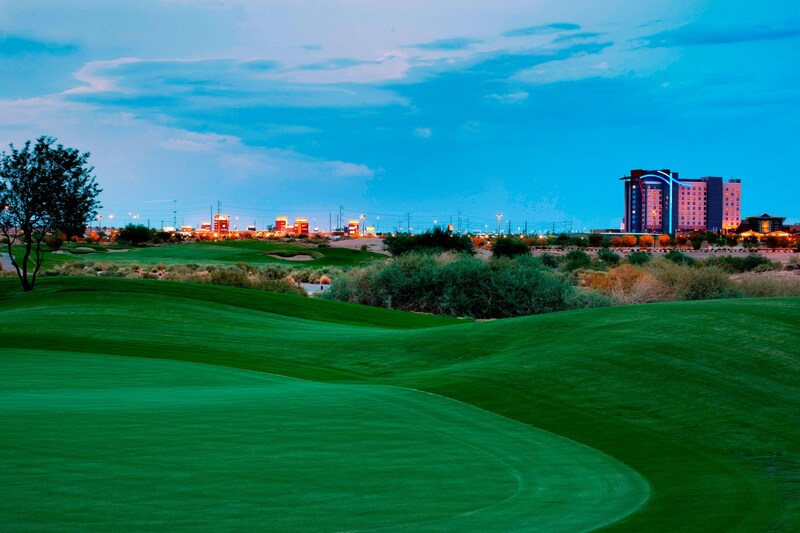 Sheraton Grand at Wild Horse Pass is a truly transformative resort experience. 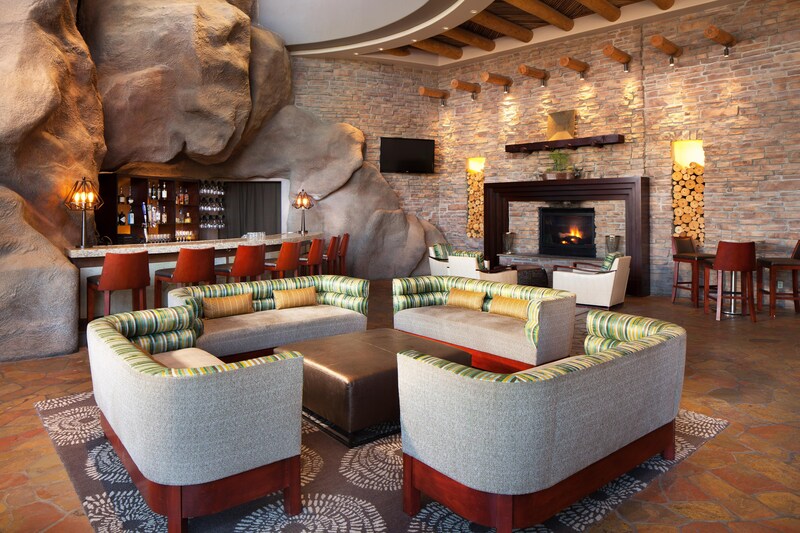 Located just a short drive from Phoenix Sky Harbor Airport, our Native American-owned luxury hotel feels a world away from everyday life. We have strived to maintain the heritage and culture of the Gila River Indian Community throughout our resort, preserving a sense of authenticity at every turn. 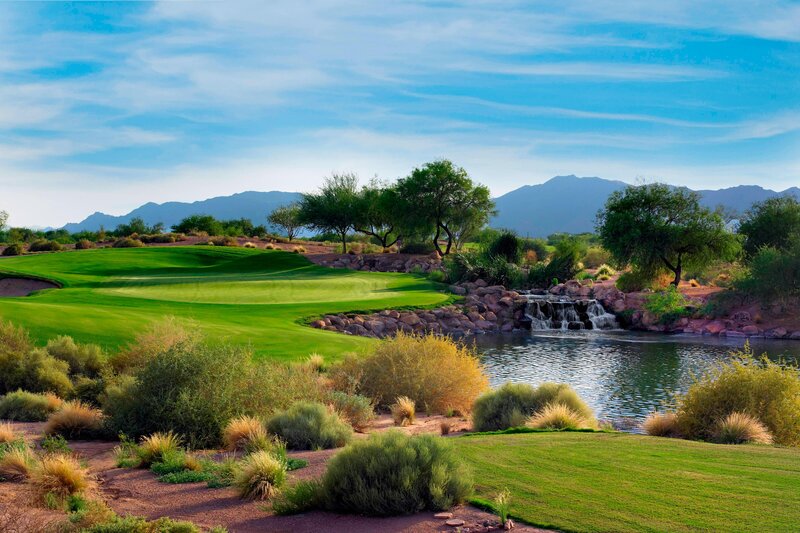 Spend your days enjoying a round of golf at Whirlwind Golf Club, pampering yourself at Aji Spa or making a splash at our four resort pools - one of which showcases an 111-foot water slide. You can also take a scenic boat ride to Rawhide on the river surrounding our resort. Other family-friendly activities include horseback riding at the Koli Equestrian Center, tennis and the kids-only Sheraton Adventure Club. We offer dining options to please every palate including Kai, the state&apos;s only AAA Five-Diamond and Forbes Five-Star award-winning restaurant. 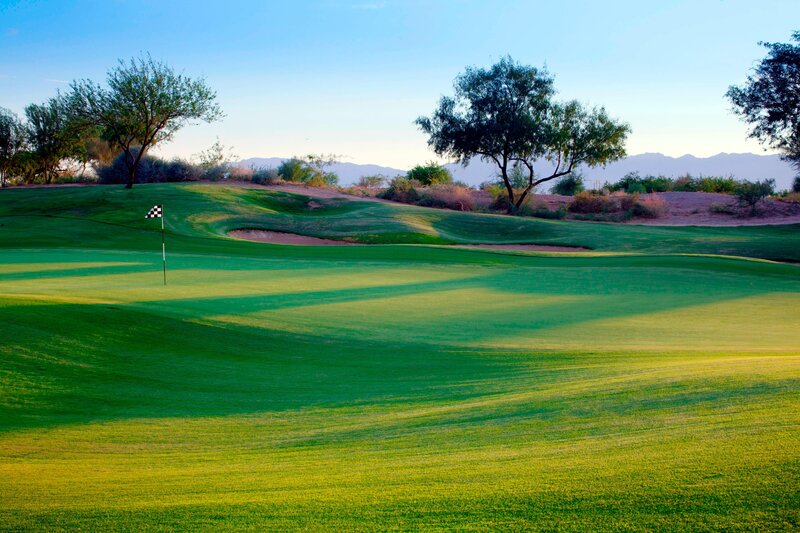 For those planning events, our flexible indoor/outdoor spaces offer stunning desert views. 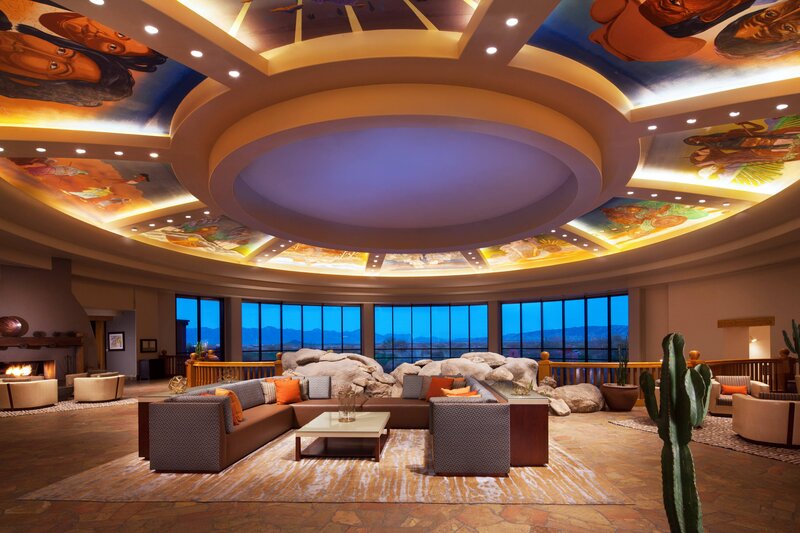 Designed to be an authentic representation of the Gila River Indian Community&apos;s heritage and culture, the architecture, design, art and legends of the Pima (Akimel O&apos;otham) and Maricopa (Pee Posh) tribes are celebrated in every detail at our Phoenix resort. 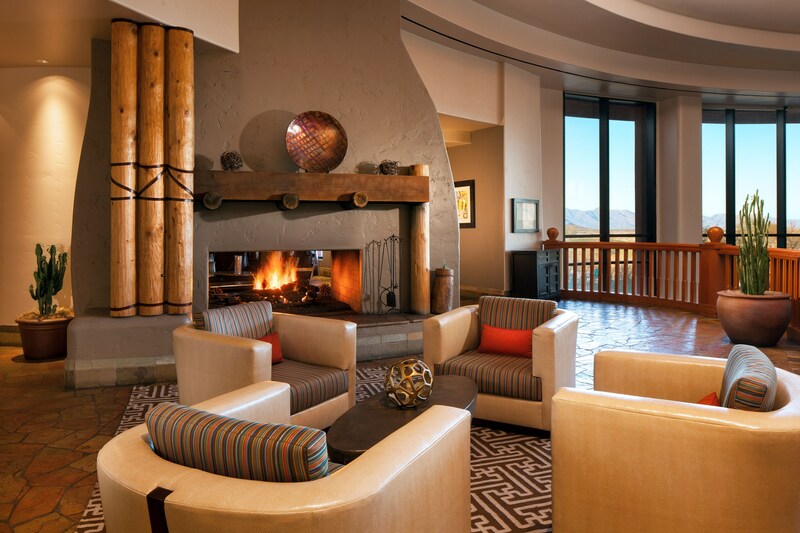 Kai, meaning &apos;seed&apos; in the Pima language, is the only AAA Five Diamond/Forbes Five Star restaurant in Arizona. Our Phoenix restaurant features a menu rich in creativity, history and Native American culture. Alongside our picturesque river and against a beautiful desert backdrop, the resort offers a sparkling pool with cascading water streams, a waterslide designed after the ancient Casa Grande Ruins and shallow wading pool perfect for our littlest guests.